The monument is one of the highest tourist attractions of the country, and every foreign visitor atleast pays one visit to the Taj when they visit India. The Taj Mahal is said to spread immense beauty on Full Moon Nights, as the carved marble sculpture reflects seven rainbow colors. The Taj Mahal is covered under the Golden Triangle Package Tour, which also includes the scenes of New Dehli and the desert city of Jaipur. 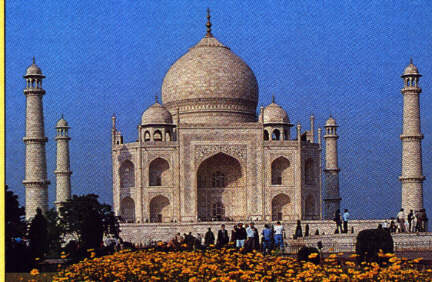 The bodies of Shah Jahan and his wife are still on display at the Taj Mahal. 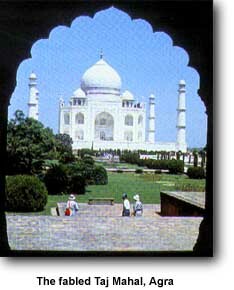 Millions of tourist have made to India to see the Taj. One of the things that I feel takes away from the greatness of this building is that there is now a charge to enter the building which I feel is uncalled for.